Working from home is a pipe dream for many. Who wouldn’t like the short commute, working in your undies and spending more quality time with the family? Over the years, there have been countless scams and fraudulent programs peddled both online and offline to opportunity seekers. 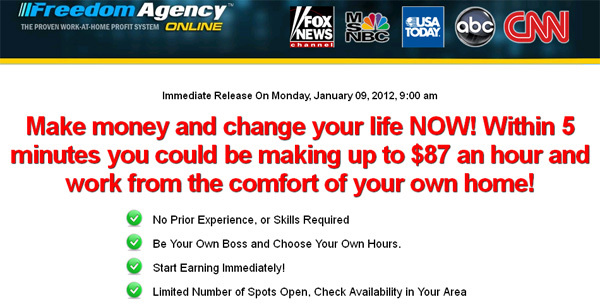 The latest one involves a bogus site made to look like a legitimate CNBC news story. Clicking the wall post link will take you to a bogus website made to look like CNBCstory. The scammers have gone to great lengths to make this page appear authentic – even the url looks legit at first look. 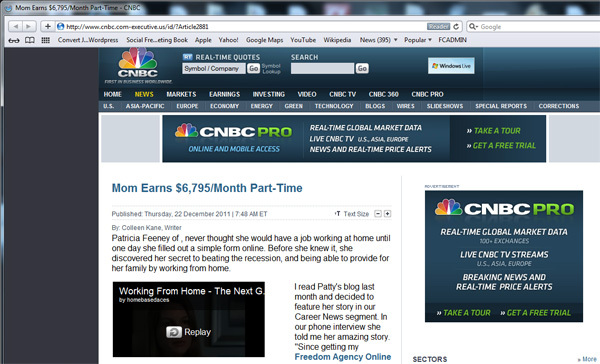 There are links to real CNBC stories and landing pages. There is just enough truth mixed in with lies that could trick an unsuspecting user. Due to the shady practices conducted by the page operators, we strongly advise you look elsewhere for legitimate work from home opportunities.